PC Printer Repair, Dallas Home PC Service, Software Deployment, Oak Cliff Dallas Computer Hardware Repair, Computer General Networking, Dell PC Repair Service in Oak Cliff Dallas, TX, Microsoft, Dallas PC Printer Repair, Avg Virus, PC Support in Dallas, TX, Virus Software, Network Cabling, PC PC Repair in Oak Cliff Dallas, Texas, Hardware, Computer Repair And Service, Dallas Network Repair Company, and Computer Consulting in Dallas, TX. 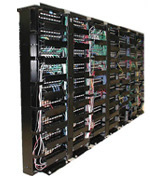 Metroplex Tech provides network cabling services for the entire DFW Metroplex. In today’s IT and Telecommunications arena, many organizations require the integration of voice and data services over a single medium. To accomplish this, structured network cabling (Cat 5e/6) is designed to run both voice and data services. Cat 5e/6 twisted-pair balanced copper cabling (structured cabling), either unshielded (UTP) or shielded (STP), is the low cost media used as standard for networking a building for all forms of electronic communications to the desktop (for PC, phone & fax systems). Category 5e (enhanced Category 5), Category 6 copper cabling, or fibre optic. Category 5e is a specification designed for data networks that support high speed data transmission, like Gigabit Ethernet, but keeping the signalling frequency to 100MHz. Category 5e has replaced the 100MB Category 5 as the baseline network. If a data rate of 1GB to the desktop covers the user's foreseeable data needs, Category 5e is an adequate installation standard. If, however, the user anticipates higher data rates, we recommend that they should consider Category 6 or possibly fibre. Category 6 is a specification for data cabling that supports 1GB data transmission at a frequency of 250MHz. This provides an excellent platform for Gigabit Ethernet with increased margins or "headroom" over Cat 5e, and also caters for future high speed data transmission protocols with even higher data rates. The ultimate decision on whether to use Category 5e or Category 6 currently depends on the price sensitivity of the installations. Category 5e offers a cost-effective installation for Gigabit Ethernet, whereas Category 6 gives provides scalability but adds cost to the installation. Cat 5, Cat 6, Gigabit Copper and Fiber Optic. We can do it all. From your company network backbone to the Internet - We can drop, pull and install the appropriate network cabling to get your data structure connected. Category 5 and 6 gigabit copper as well as fiber optic network cabling. We install to industry specifications and we use top-quality patch panels, mounting racks, jacks, surface mount modules and wall plates. Our network engineers and installers have broad experience in corporate network moves and expansions. We can also handle any expansion to existing networks as well as complete office relocations. Upgrades to from outdated to current Network technologies. Older data network architectures still in existence such as Ethernet, ARCNET and Token Ring provide transmission speeds from approximately 2.5 to 16 Mbps. Current Network Cabling and network cabling technologies extend from 100 Mbps to the gigabit range. We can provide clear and detailed data network cabling and Network Cabling documentation on "what goes where". Our network technicians use the latest technologies to completely document the network cabling and network infrastructure. The entire wired network is mapped, diagramed and documented. You also receive a full report of the integrity of your network Network Cabling components and connectivity. We arrive on time, as scheduled, to start a Cabling project. If you have any questions about our various Network Cabling options for your company please Contact Us or give us a call at: (214) 685-0886.